I was fortunate indeed to have worked with a fantastic team on the design and implementation of the concurrency features added to the Java platform in Java 5.0 and Java 6. Now this same team provides the best explanation yet of these new features, and of concurrency in general. Concurrency is no longer a subject for advanced users only. Every Java developer should read this book. For the past 30 years, computer performance has been driven by Moore's Law; from now on, it will be driven by Amdahl's Law. Writing code that effectively exploits multiple processors can be very challenging. Java Concurrency in Practice provides you with the concepts and techniques needed to write safe and scalable Java programs for today's—and tomorrow's—systems. 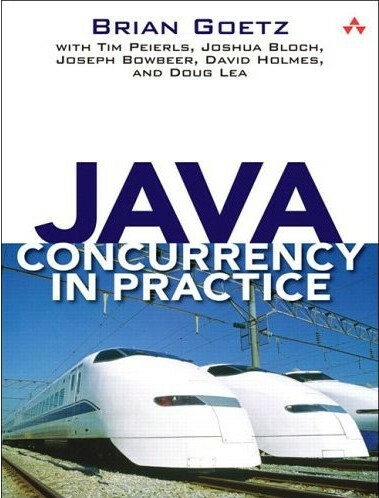 This book covers a very deep and subtle topic in a very clear and concise way, making it the perfect Java Concurrency reference manual. Each page is filled with the problems (and solutions!) that programmers struggle with every day. Effectively exploiting concurrency is becoming more and more important now that Moore's Law is delivering more cores but not faster cores, and this book will show you how to do it.